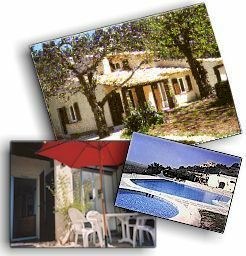 In 2001 euro-rentavilla.com was established for the marketing of self catering holiday rentals. In 2002 a new site jmlvillas.com was established and this remained in business till May 2018. As a result of the GDPR - General Data Protection Regulations legislation coming into force in May 2018, jmlvillas.com ceased to offer an advertising service for holiday home owners. 1) PRICES: Make sure that the price is competitive. 2) LOCAL AGENT: If you do not live near the holiday property, you must employ a good local agent who can check your visitors in and out, arrange cleaning, routine repairs and replacements, arrange linen hire or a laundry service and keep an eye on the property when it is not occupied. The agent should be able to provide a "Welcome Pack" if you want to provide one - bottles of wine for example or more if the visitors are arriving late. You should provide your agent with the visitor's contact details and vice versa so that they can contact the agent if they are delayed or lost. The agent can of course be a friend or relative living locally, but it should be a business relationship and the agent should be paid. 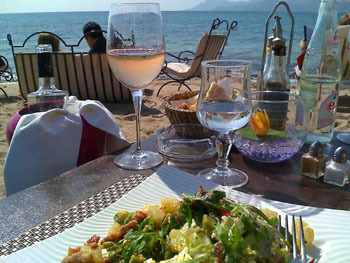 3) RENTAL AGREEMENT: If you are letting a holiday property in France you must provide a written agreement. In other countries, although it might not be a legal requirement it is advisable so that your terms of rental are clearly agreed. The document need only be 2/3 pages in length and include the names of the visitors, the dates of the rental. The amount of damage deposit you are going to hold, The rental price, cancellation of rental charges. Additional costs e.g. electricity, linen hire etc. A clause stating that if a local agent has to meet the visitors at an unsocial hour, then any additional costs paid to the agent will be paid by the renter. If it is a legal requirement in the country concerned that the renter takes out insurance, then add it into the agreement. 4) INVENTORY: It is essential that you have an inventory of the contents that can be checked in with your guests. Either the owner or local agent should politely point out that if the visitors break equipment, if they are glasses for example then they should replace, if it is more serious - bed, window etc, then immediately report it. 5) PROPERTY HANDBOOK: Provide a ring bound folder with some notes about the property - how the hot water system works, where the rubbish should be put, information on local shops, restaurants and attractions etc. 6) INSURANCE: You must make sure that your property is properly covered for holiday lettings. You should advise the insurance company that it is being let for this purpose. In some countries (France for example) the people renting must also take out insurance by law, but you must also be covered. If you are looking for a policy visit our Insurance section. 7) LOCAL REGULATIONS: You should ensure that your property complies with the country regulations for safety issues. In Britain for example a holiday home must have furniture that complies with the fire & furnishing safety regulations and displays the appropriate safety label. There are also gas and safety regulations in certain countries. If in doubt talk to the local Tourist Office in the area your property is located in. In France, rental properties with more than 5 bedrooms are legally classified as a small hotel. Hotels are classified as public buildings requiring specific fire protection such as fire doors and officially approved smoke alarms. These regulations are enforced by the Mairie. Although there is no specific legislation for fire safety in in private properties or rental properties with less than five bedrooms in France, in any country the owner must have a duty of care to his/her guests and install basic fire protection such as smoke detectors, fire blankets and fire extinguishers. It is suggested that the emergency services numbers are included in any Property Handbooks. 8) TAX: It is advisable to consult an Accountant regarding any tax liability from letting out your holiday property. If the property is not the country you normally are resident in then contact an accountant in that country first. Many countries have Tax treaties with other ones, but the issue is very complex and the Tax Authorities do have ways of finding out about properties that are being let out. See also: Taxe de séjour and Tax Declarations in France These are two most important areas for owners to take note of. Take great care — if someone is making a booking well into the future, the ideal situation is to obtain a booking deposit at the time of booking and the balance two months before they are due to arrive. Stipulate those terms in your rental agreement and also on any printed booking forms. 11) PRE - LETTING CLEANING: -Make sure the property is clean and tidy before the guests arrive. At jmlvilas.com we have received complaints that the property was dirty and even someone still in there when a guest arrived in the early afternoon. Make arrangements to have the property cleaned thoroughly in between lets and if it stays vacant for a while between a let, have it cleaned before the new guests move in. 13)RECORD KEEPING FOR PROPERTY OWNERS: As a property owner ou are required to maintain complete records of all expenses incurred and the income received from your properties. This means that you must hang onto every relevant receipt and keeping details of any personal assets you used for the property business. An example of this would be to note down the details of all journeys you make concerning your property's business, the portion of your home used to process related paperwork and time spent on your computer carry out work for the property. Please note this guide has been compliled from experience and jml Property Services takes no responsibility for the accuracy of its content. jml Property Services taks no responsibility for any bookings or dealings between a renter and a property owner.